Posts I Was a Beekeeper for a Day! 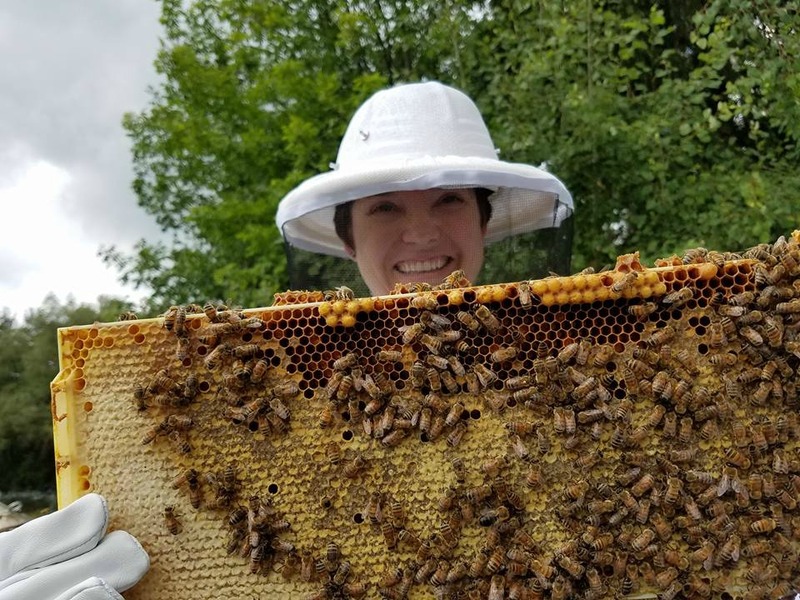 I Was a Beekeeper for a Day! Last July, I spent a week in New York attending a writer’s retreat and a horror writer’s conference. While I was hanging out, author, friend, and beekeeper Patrick Freivald showed a few of us around his beehives. I’ll admit it was scary at first. We donned our beekeeper’s suits and veils, but the sound of bees buzzing right by my face made me nervous. I practiced deep breathing until I realized that the bees weren’t the least bit interested in me. They were busy with their honey. We were only there for about an hour, but I learned so much! Honey is heavy. Bees are fascinating. Harvesting honey is much harder and hotter work than I ever could have imagined, and I have a new respect for beekeepers. If you’d like some of Patrick’s delicious honey, you can buy some from Frog’s Point Honey. I thought I appreciated it before, but seeing the love and effort that goes into it, from human and bee, makes it that much sweeter.